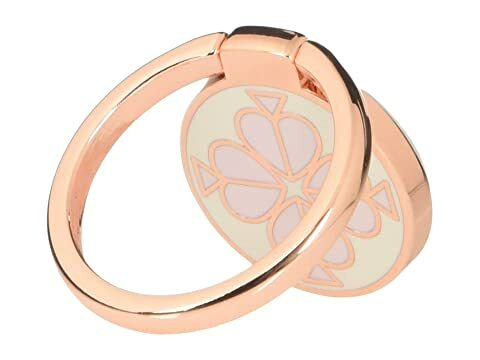 Prop your phone in effortless style with the Kate Spade New York® Spade Flower Ring Stand. Floral spade design along the center. Adhesive side to attach to phone. Ring doubles as a carrying ring or phone stand. We can't currently find any similar items for the Spade Flower Ring Stand by Kate Spade New York. Sorry!